So last Christmas, I was given a drone. I think the family has great difficulty deciphering what I want and I do tend to get some strange gifts. Here's a look at some of the early flights I tried making. 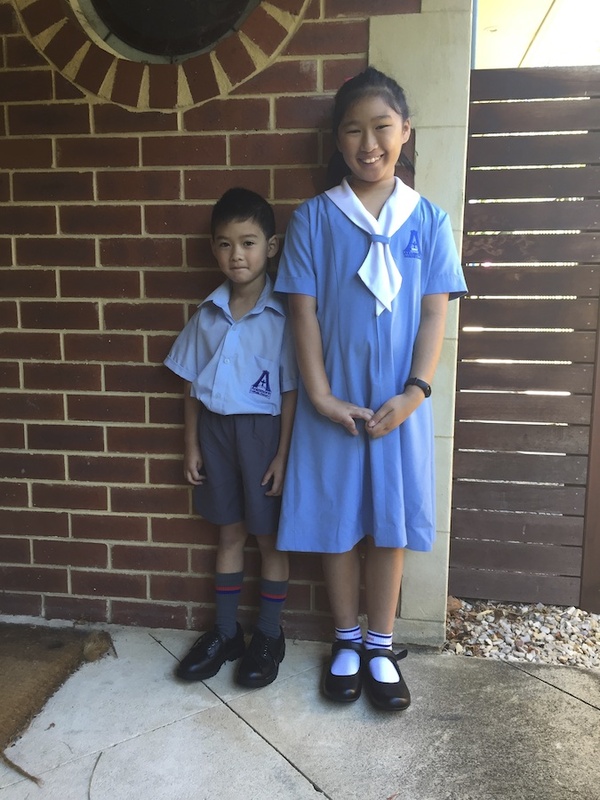 The first of February was the first day of the school year and for Grandson R, it was his very first day at real school, having been in kindy the past couple of years. Here he is with big sister. And finally, I discovered a great drink when I was last in Singapore. It was, I found out, my late mother's favourite drink and now I happily drink it for her. I love durians, but don't usually care for durian-related products. This one, though, is exceptionally good (to my taste, at least). Available in Singapore, I learnt, at the NTUC supermarkets, and I brought a few bags home with me. Now to look for it in the local Chinese groceries here in Perth! Hi Luke. I think you'll enjoy it. Tried durian chendol but nv durian coffee! Something new. Must try. Yes, I should have included a pic of the drone. This old man completely forgot to do that! Will try to include a pic next time. found your drone glimpse interesting! your grand kids are lovely,hope your grandson loves his new school. here we have Nescafe ,it taste great and my favorite! never saw one you mentioned may be in capital city where more foreigners live . Thank you, baili. I'm not sure if that drink is in Pakistan. It might be a just local drink in Singapore and Malaysia. Do you get the durian fruit there? 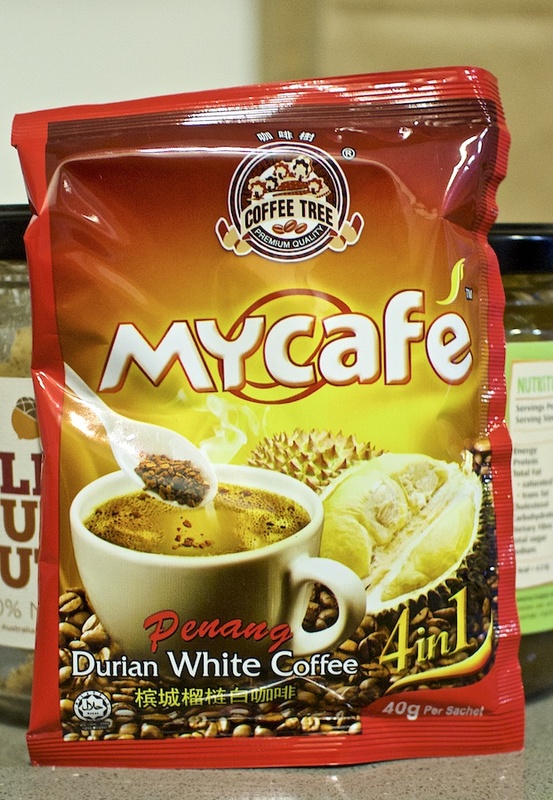 Durian white coffee? Hmmmm!!! For one thing, I do not go for white coffee - milk or creamer, it makes me sleepy. Psychological, I'm sure. Will make a good nightcap at bedtime, haha! Yes, it's a drink I really like. The durian is not to everyone's taste, though.